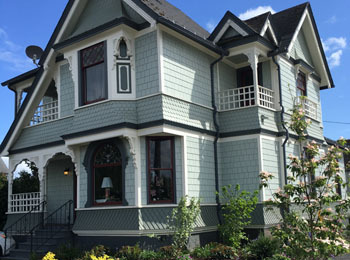 The Victorian on 10th, a Queen Anne style Victorian, was built in 1896 and holds the highest designation of ranking on McMinnville's historic register. 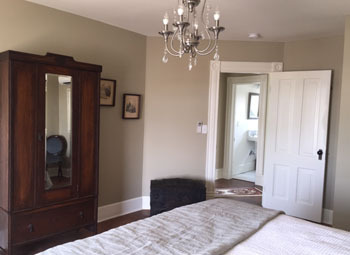 The tri-plex was completely renovated and restored in 2015 and now features 2 private apartments that can be reserved individually to sleep 2 to 4. The units seamlessly combine to accommodate larger parties (8 to 10). Wine, cheese and crackers welcome you to the Inn. 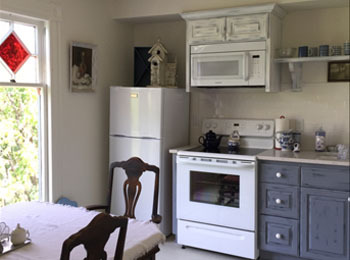 And each unit comes with a kitchen stocked with breakfast items, including quiche, fresh fruit and baked goods, and specialty teas, coffee and juices. The Inn has a completely fenced side yard ideal for dogs. 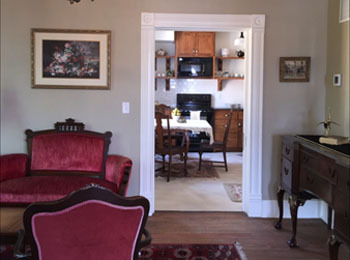 And it's walking distance to McMinnville's world-class restaurants, wineries/wine tasting rooms, and shops.